Instantly receive views on each new video you post in only minutes! Our form below will help you easily calculate how many views you need to purchase. 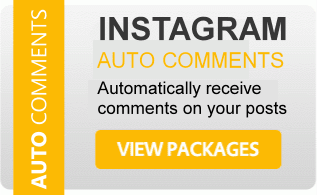 Simply enter the number of posts you want to purchase and how many views per post you want to receive automatically. Our clients are using our Instagram Video Views packages to win contests, promote products and events, increase their online credibility and, of course, impress their friends! Buying Instagram Views will skyrocket your viral video success, having more Instagram views will encourage people to like your photo and share it with even more people. What are Instagram Video Views? Instagram recently announced the addition of a views counter for all video posts. Views are counted separately from likes. The views counter is now is the default visible metric. To view how many likes a video has received, click on the views counter when viewing a video. Your views never expire, so no matter if you use up your views in a day, week, month or six months, you can rest assured that your future posts will be covered. Please note: During peak times of the day, delivery of views can be delayed up to 1 hour or more. Delivery: Orders placed before 8:00 PM CST will be processed within 1 hour of receipt. Orders placed after 8:00 PM CST will be processed the next business day. We will send you an email once your subscription is activated. How to Order: Our form above will help you easily calculate how many views you need to purchase. 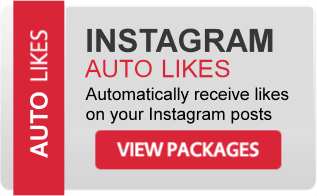 Simply enter the number of posts you want to purchase and how many views per post you want to automatically receive. Enter the calculated number in the Quantity field at the bottom of the form. The calculator will multiply the number of posts by the number of views. For example: Bob wants 290 views to be sent to his next 20 Instagram video posts. He uses the views calculator to determine that he needs to purchase 5800 total views (290 x 20). Based on the calculator's results, he enters 5800 in the quantity field. After the 20th post, the system will mark his order complete. Warning: Our system will scan your account every 5-15 minutes to look for new posts. Once it finds a new post, it will add your views order immediately to the queue to be processed. If you delete a post after our service has added it to the job queue, you will NOT BE CREDITED for the deleted post. Note: Views count is a new feature implemented by Instagram for videos. Views are counted separately from likes. This auto views package delivers views only. If you are interested in video likes, please visit this page on our website. lvswxvi Help us prevent SPAM!